Princeton’s “Hometown” Trader Joe’s Is Not In Princeton. Is That OK? Trader Joe’s is a great place to find fun stuff that’s good to eat. People drive from all over Central Jersey to shop at ‘Trader Joe’s Princeton’. There’s just one thing that about it that is a little bit annoying…well, two actually…. The first thing: no ‘Two-Buck Chuck‘. Those who have lived in California may be familiar with ‘Charles Shaw’ wine, which until very recently sold exclusively at Trader Joe’s for a wallet-friendly $2. On the East Coast, it went for a minimum of $3, but was still remarkable value for a classy-looking (and reasonably classy-drinking) bottle. Jersey’s restrictive alcohol sales laws prevent it being offered in Trader Joe’s around here, restricting customer choice for no obvious benefit. The second thing: what’s with all the Princeton shtick? The store isn’t even in Princeton! Sure, it’s in the Princeton zipcode, which includes a vast swathe of the local area, but all the taxes from our local Trader Joe’s are going to West Windsor, where the store is located. For those of us who like to walk to go shopping, Trader Joe’s is a serious hike- miles out of downtown Princeton in a Route 1 mall. The giveaway is in the mall’s name: ‘The Square At West Windsor’. Of course, loads of businesses market themselves as ‘Princeton’. Last year, we observed that housing developments with ‘Princeton’ in their name could be found as far out of town as Piscataway, NJ. But few places borrow so heavily from our little town. 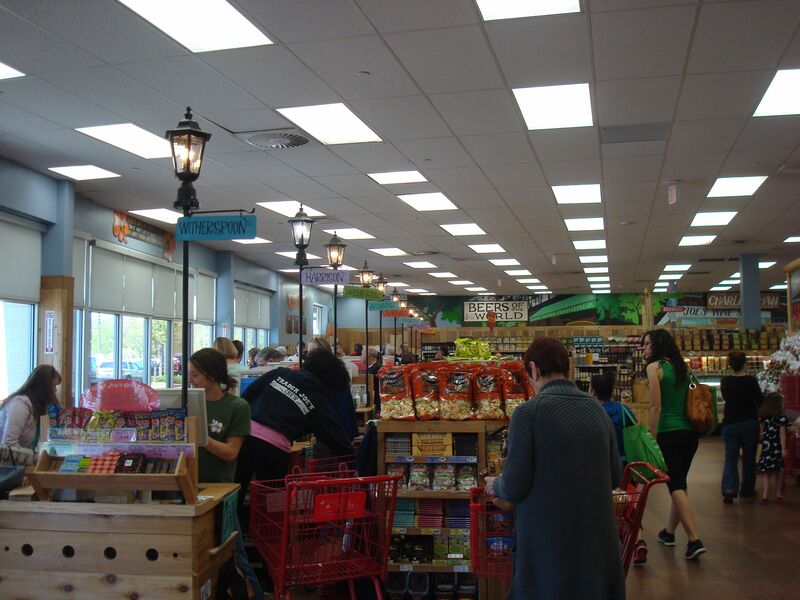 The Trader Joe’s checkout aisles are named ‘Witherspoon’, ‘Washington’, ‘Harrison’ etc after downtown Princeton streets. Interestingly, if you look at the photo in this article about the store’s opening in 2009, you’ll notice that the aisles originally had names like ‘Meadow Road’ and ‘Carnegie’– names drawn from streets in the immediate West Windsor neighborhood. 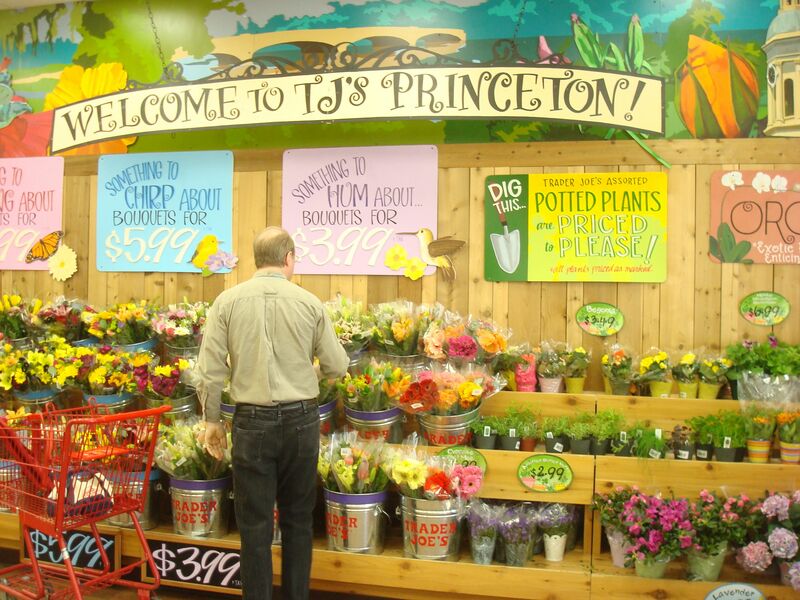 Why does Trader Joe’s choose to present itself as a Princeton store? They are recognizing something that we all know- our walkable downtown is just a really nice place to be! People like going there, so by associating with Princeton, Trader Joe’s captures some of the glow. But part of the thing that makes Princeton such a nice place to be is the long-term investment of our local neighborhood merchants, who have remained invested in our downtown despite high rents, constrained sites, and intense competition from Route 1 stores. If Trader Joe’s wants to have a Princeton store, why not open one in downtown Princeton? That way they could be a real part of our walkable community. And the store in West Windsor would be free to proudly advertise itself as what it is: “TJ’s West Windsor”. Is it OK for businesses that aren’t in Princeton to call themselves a ‘Princeton’ outlet, even if they aren’t contributing to Princeton tax rolls or the vibrancy of our downtown? Have your say in the comments below! This entry was posted in Downtown Vibrancy, Local and tagged merchants, Princeton, shopping. Bookmark the permalink. 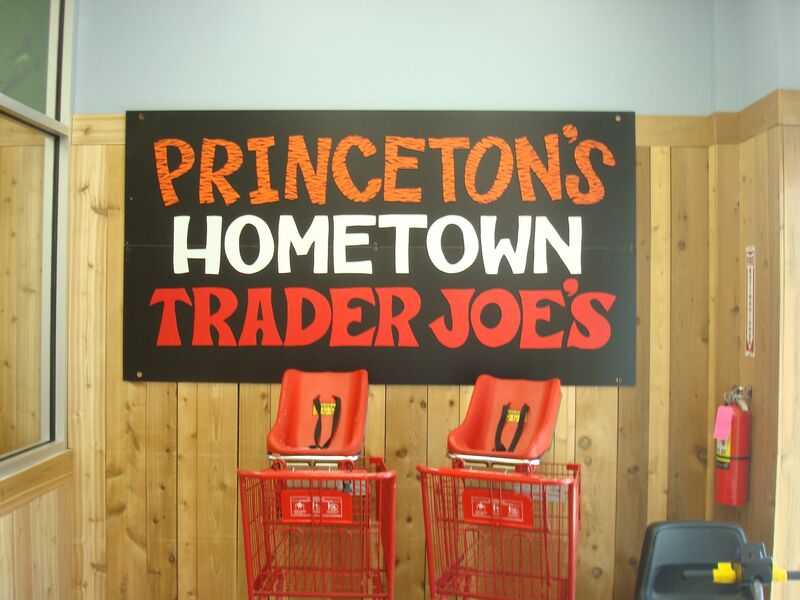 4 Responses to Princeton’s “Hometown” Trader Joe’s Is Not In Princeton. Is That OK? Good point! The Princeton “wannabeism” is really annoying. If it were at least on the outskirts of town like on west Witherspoon, north Nassau or on Alexander but its on the far side of the highway. Obnoxious! Also, Charles Shaw wine is definitely sold at TJs Princeton, so not sure what you’re talking about there.